Back in the old days (so we’re talking about a week ago), it was necessary to install and manage the browser extension for Remote Desktop Manager separately. Well, those days are over thanks to the new bundled Devolutions Web Login! From Remote Desktop Manager, select Tools – Extension Manager, choose your browser (Chrome, Firefox, Edge, Opera or Internet Explorer) and click Install. You’ll then be automatically directed to your browser’s web store, where you can add the extension. We will be using Chrome for our example. From the Chrome web store, simply click Add to Chrome. 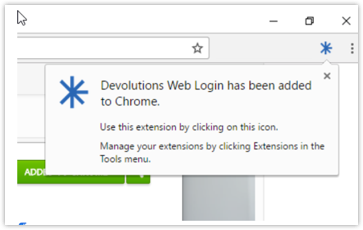 The Devolutions Web Login icon shows up on the toolbar. When you first use the Devolutions Web Login, you’ll get a message saying that it hasn’t been configured yet. 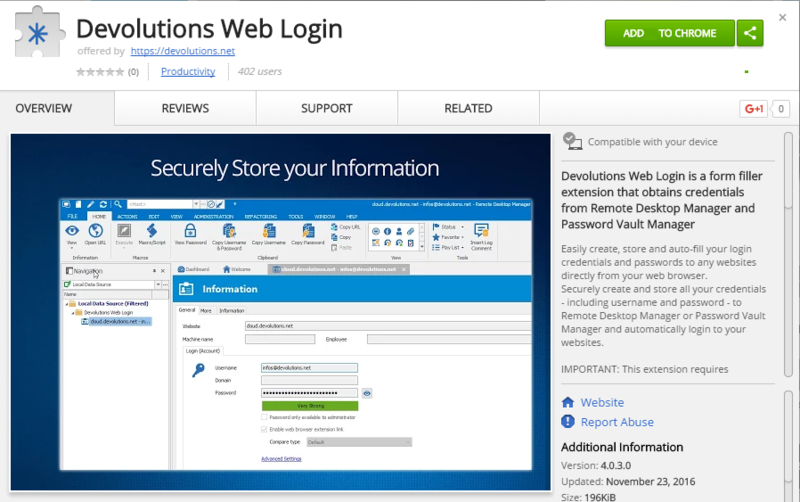 Just click Connect to register and pair the Devolutions Web Login with Remote Desktop Manager (make sure that the software is open). Then go to the website of your choice, enter your credentials (for the last time!) and log in. A pop-up will appear at the top of your screen. If you wish to save your credentials as a new entry in the active data source of your Remote Desktop Manager, click Save Credentials. 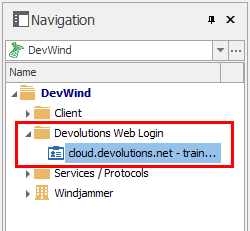 You’ll then see the Devolutions Web Login icon in the credential box. 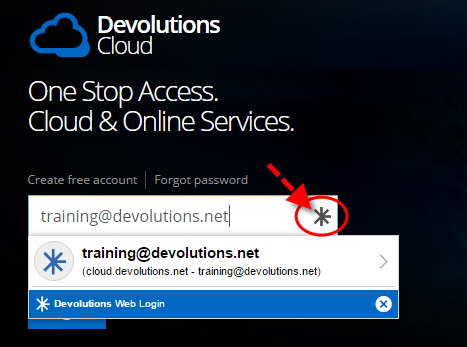 The next time you connect to the site, simply click on the Devolutions Web Login icon to select the right entry and automatically login to the website. It’s quick and easy, which is what everyone wants! Since we’ve decided to save the credentials within Remote Desktop Manager, if you go back into the software you will see that a folder has been automatically created with your new entry. You can now launch your website straight from RDM! Now that’s service! Stay tune because next week we will take a deeper look at how to automatically login through a Web Browser (HTTP/HTTPS) Session directly from Remote Desktop Manager.